Don’t let the photo deceive you. This is not ice cream despite what you maybe thinking. At least not conventional ice cream (it is afterall, a form of iced cream, literally). 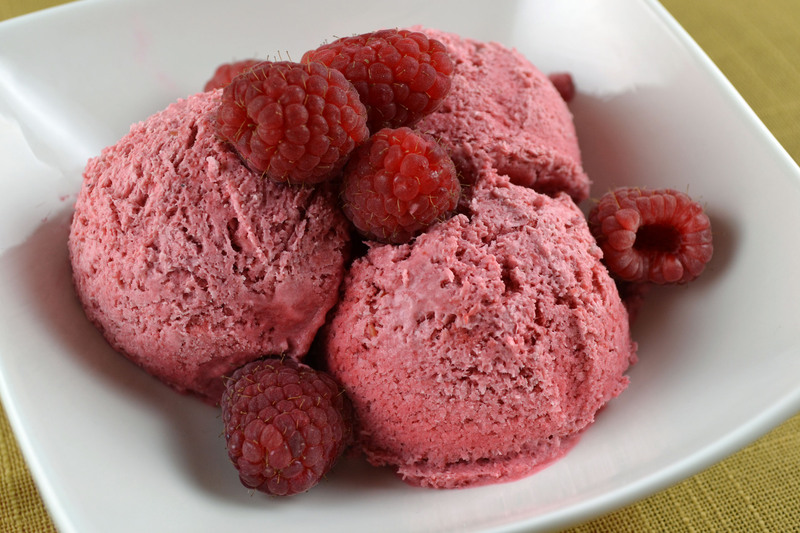 No ice cream maker needed for this bright mousse made with fresh or frozen (more affordable) raspberries. Easily summed up with 5 ingredients and though the final texture is more icy and less creamy than I would normally want in a mousse, I keep going back for more. The tang of the raspberries is balanced by the richness in the cream and the kirsch or framboise ensures the mousse doesn’t harden too much in the freezer. As summer comes to a close, this quick mousse is a reminder of light refreshing desserts as the heavier fall pies and cobblers begin to takeover. 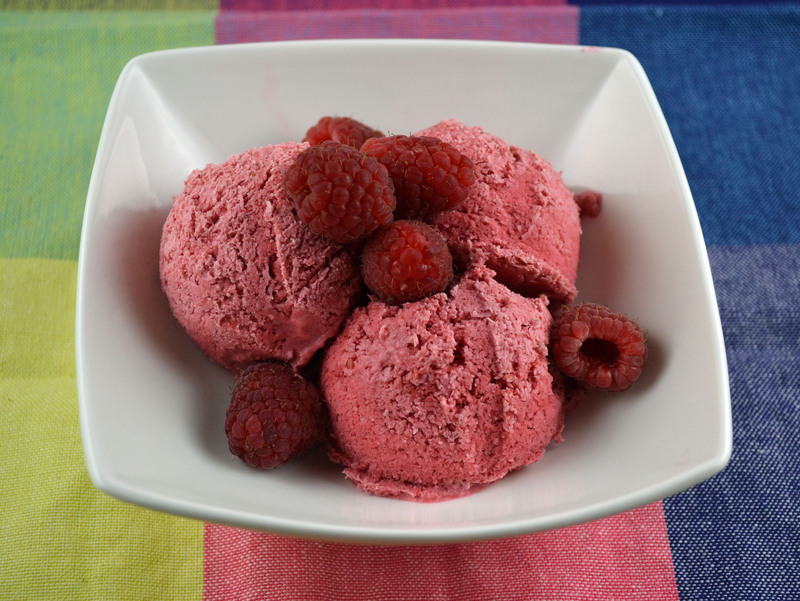 Combine raspberry puree with framboise or kirsch. Beat egg whites with salt till they are stiff. Beat in sugar, a little at a time, and continue beating till whites are very firm. Fold whipped cream and stiffly beaten egg whites together. Fold in raspberry puree. Pour into a bowl which can be placed in the freezer. Cover and freeze in freezer until mixture is firm.